To delete the track objects of the example track you need to do this. -Delete the last code lines in the .hmf file. -Delete scene0.edf out of your folder. These are the last code lines in the .hmf file. its getting there i fixed the masks so that looks a lot better now, i added some objects thanks to sandbiter for the help (switching from bales to cones) and if anyone knows how to texture objects that would be a lot of help and how to create a SHD? First try with mapview. 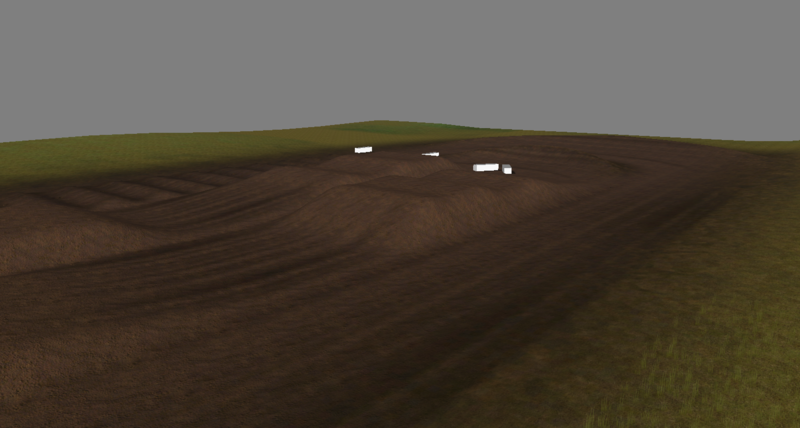 Got rafagas's mx simulator track working into mapview. Looks good, but did you ask Rafagas for permission to show this? Wow, didn't realize it was a stolen heightmap. You should delete it or ask for permission to use it. Do no release it without permission. I can use it aslong as i give him credit when i release it. I've been trying to recreate some of the 2011 sx tracks. I'm using the same layout. Just making a height map by looking at the track in a top down view. Does anyone know who made the 2011 sx tracks? I shall give credit for their original layout.